Earlier this summer, I heard a song on the radio that I instantly fell in love with. Unfortunately I didn’t catch the name, but it played again maybe 15 minutes later on a different station. This time around, I discovered who this artist was and what would be one of my new favorite songs: “The Recipe” by Kendrick Lamar. Once I was home, I instantly put the song on my iPod and started looking through some of Kendrick Lamar’s other releases. This West Coast rapper from Compton, CA has been exalted as one of the best lyricists in the underground hip-hop scene. Kendrick Lamar has been working with Dr. Dre and Interscope Records for the past 2 years on his first album, and now the wait is finally over! 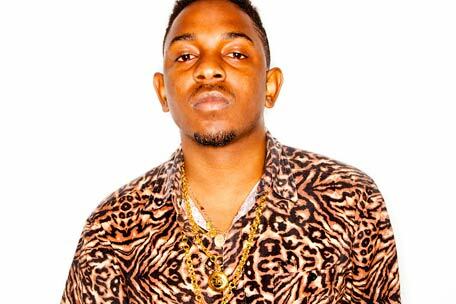 Kendrick Lamar's much awaited debut album, 'good kid, m.A.A.d city,' was released was on October 22nd. And he was HERE in Berkeley this past Wednesday at Rasputin Music. Although I sadly was not able to make it, my friends who did have the chance to attend the event came back excited and eager to hear more songs from his new album. In my opinion, the album most definitely lived up to all the hype. Critics are saying that the album surpassed any previous expectations, claiming it as the most cinematic hip-hop release of 2012. With that said, I would like share what I feel are some Kendrick Lamar's best tracks. Enjoy! And if you haven’t already, make sure to check out some of his older stuff! "The Heart Pt. 2 (ft. Dash Snow)"
"The Recipe (ft. Dr. Dre)"